As many of us know, growing up in negative situations—be it home environment or neighborhood setting—makes it easy to hop on the first thing smoking out of town as soon as the opportunity presents itself. But that wasn’t the case for Ryan Harris, a Philadelphia native and graduate of America's first historically Black University, Cheyney University. Ryan raised the bar in the city of Philly by creating something larger than himself. A youth program called As I Plant This Seed, which has solidified Ryan a seat at the table as the founder of a very important organization in Philadelphia. TMB: Who Is Ryan Harris? What do you stand for? Ryan: I stand for love. There’s nothing cliche about love—it conquers all. Ryan: Leader. Because growing up I had to take the examples of others who saw something in me. They taught me that once you become a good leader you create more leaders around you. I believe a great leader should be able to empathize with people. They should be able to understand people and what they're going through and to be able to help release and hurts, pains and traumas to be great. TMB: What is the funniest thing that has happened to you recently? Ryan: I farted in a full elevator. Creating a non-profit organization can be the most exciting and unforgettable experience for many. Not only are you giving back but you are also leaving behind a legacy. That personal satisfaction of knowing you are accomplishing something good in the world is all the fuel you need to see your vision through. When one finds their true purpose, the experience can feel more valuable than any amount of wealth. TMB: Was there a significant moment in your life that changed your pathway leading you here today? TMB: Who would you say has been a great influence in your life? Ryan: Aside from Dr. Flynn, Coach Wiz. He gave me a lot of my self confidence and swag (which I stole from him). He said “A winner is somebody who continues to try even when they fail”. It taught me that with every bump in the road there’s something coming to fix it. No matter how gentrified Philly is becoming crime is still happening, and people need to break the cycle and provide resources to the youth in Philly. In 2018 teen violence dominated Philly headlines. 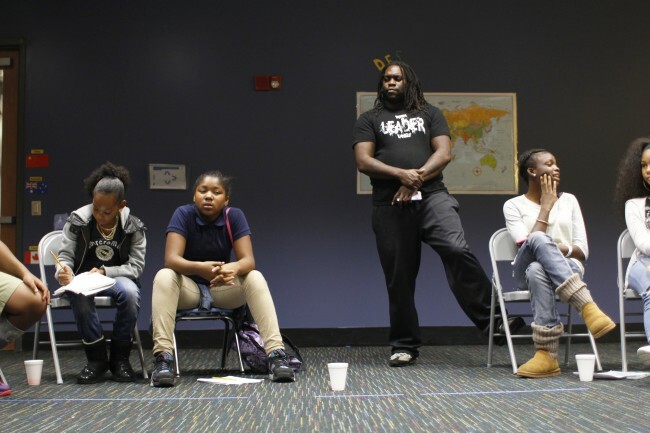 Philly does a heck of a job policing, but not enough attention is paid on helping the youth of Philly create outreach programs in high-risk violence-based areas, which have been proven to work tremendously in crime participation prevention. TMB: How do the youth benefit from participating in this program? Ryan: They learn things they don’t learn in school. Simple things such as believing in themselves (self-efficacy). We teach a lot about being entrepreneurs. Believing in yourself and becoming your own boss. We use Proverbs 22:6 as a way to teach our kids which says, “Train up a child in the way he should go: and when he is old, he will not depart from it.” They’re gonna fall into success for being obedient. Ryan saw the need to plant a seed in the lives of the youth in Philadelphia. In addition to teaching the youth about entrepreneurship, he also provides the youth the space and opportunity to have their voices heard, form relationships with adults, a sense of belonging, and an opportunity to build trusting relationships. TMB: Tell us about a project or accomplishment you consider to be the most significant in your career. 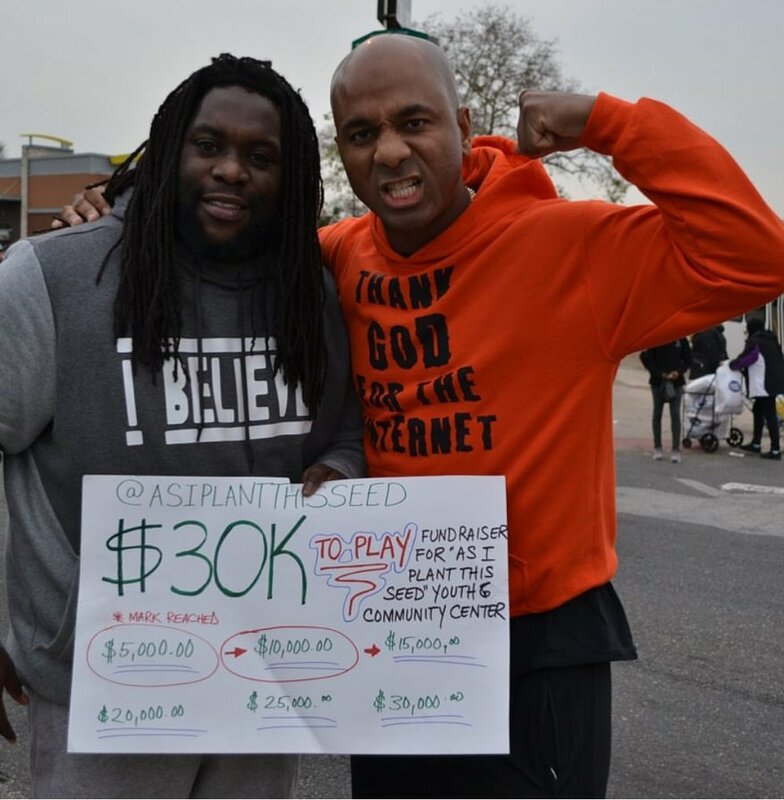 Ryan: Raising $34,000 in 2½ days standing between Broad and Hunting Park Ave with friends and family by God’s Power. The reason being I was on contract with a center I hosted a program at. Things were going great but we were growing out of the space and needed something of our own and to give back and help our people shift their perspective. I knew we had to get our own building and practicing what I preach which is sustainability. Ryan is running a high-impact nonprofit organization that will earn him a place in history because he seen that a change needed to be made. He knew that if he planted the seed of service to the youth of Philadelphia that it would be one step closer to change in the world we all hope to see. It amazing that Ryan felt the need to invest in the youth. Youth development is an ongoing growth process. Ryan has been able to create community engagement to help youth meet their basic personal and social needs to be safe, feel cared for, be valued, be useful, & be spiritually grounded all while instilling the basics of financial empowerment, importance of education, helping others and becoming skilled entrepreneurs. Philadelphia has a promising future because As I Plant This Seed builds the skills and competencies which allow them to function and contribute in their daily lives. TMB: Who would you like to thank for the current success of As I plant this seed? Ryan: The community of people that make As I plant This Seed possible, my family & friends of the Hunting park community. My 2nd Grade Mr. Warren, North Philly Aztecs, Cheyney University, Dr. Flynn and my current job supervisor Ms. Dell. TMB: Where do you see as I plant This seed in 5 years? Ryan: As I plant This Seed in 5 years… open a school and give our community the education it deserves with access to the same education as the people who live in the county or access to more money. To teach kids on an individual basis. Sometimes test scores have nothing to do with intelligence. Kids act out b/c you need attention. It’s hard to receive information when your mind is focused on your troubles and trauma. We got to let creativity live. To water the seed as much as possible. Help them be the best version of themselves. Creating a safe space is an essential step to a better living environment. Although some of the barriers Ryan will continue to come across is consistent funding, his community crowdfunding really is a testament to how valuable the community feels this program truly is. Ryan knew he had to give back to his community for multiple reasons—not only because of the blatant evidence while walking around his city and seeing the need for positive personal and professional development outreach—but due to having kids of his own that also need a safe city to live in and walk through. TMB: What advice would you give to your younger self? Ryan: To tell myself that my parents was still learning how to parent, so the decisions they made were the decisions they thought were best at that time in their life. And I can't blame lack of love as the reason. TMB: If you could offer advice to other millennials to produce change what would it be? Ryan: Make every encounter with wisdom a thing that is added to your life, and not wasted on closed ears. I never really had a bad moment where I felt like my life was gonna end. I really listened to my mentors… I became a mentor and had a gifted child in the program, and he was your typical written off student assigned an IEP, and I wanted to make sure that the wisdom I was able to acquire was passed down to him. So that if he fell into trouble he’d have those values. TMB: What advice do you have for those wanting to start a Non-profit? TMB: If you had a list of best-kept secrets (i.e. websites, books, influences) you’d recommend, which would you include and why? Ryan: The bible because there is nothing in this world that has not already been written. TMB: What is one characteristic you believe every leader should possess? As I Plant This Seed is an amazing organization helping youth realize who they are and who they want to become, and seeing millennials like Ryan bring his passions and vision to fruition is an amazing thing to witness. To catch up with Ryan & As I Plant This Seed Click Here!